The shorter faces of brachycephalic dogs sure make them look cute, but they create big problems for airflow. Breeds with those short noses such as Bull-dogs, Pugs, Boston Terriers and Pekinese suffer from brachycephalic airway syndrome (BAS), which causes inefficient breathing, and therefore inefficient cooling. With increased temperatures and humidity, those breeds with the short noses are at an extreme disadvantage. The mouth could do all the work, but brachycephalic breeds have long, soft palates in the backs of their mouths, and the palate tissue blocks the flow of air to the trachea. When any animal becomes overheated, it is vital that they receive immediate medical attention. Signs of heatstroke are usually very evident, and may include frantic, heavy breathing; vomiting and the mucous mem-branes will appear bright red. If left untreated, the animal will appear unsteady and may stagger, bloody diarrhea may occur and the mucous membranes will change to pale blue or gray in color. Prevent the possibility of heatstroke by providing plenty of shade, air conditioning or a cool pool for water so your dog can escape the heat, and cold drinking water should always be readily available. Take walks or exercise only in the early morning or late evening when the weather is cool. Pay close attention to your pet’s respiratory rate, effort to breathe, stamina and fatigue. If your pet is suffering from heatstroke, move them out of the heat immediately. Begin cooling toward normal body temperature by hosing them down or immersing them below their neck in cool water and place them in front of a fan. You can also wipe their paws and paw pads with rubbing alcohol. 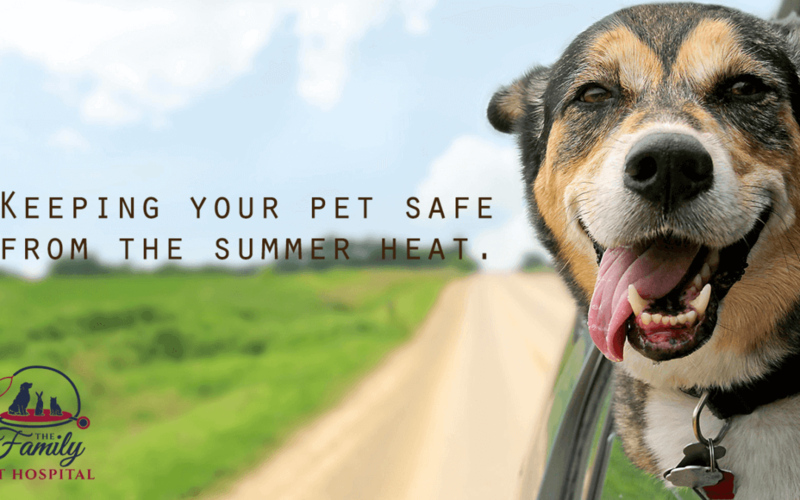 It is important to immediately bring the pet to see your veterinarian following an episode of heat exhaustion in order to ensure secondary or delayed complications such as kidney failure, spontaneous bleeding and seizures are not occurring. Brachycephalic breeds can benefit from surgery to improve their ability to breathe.